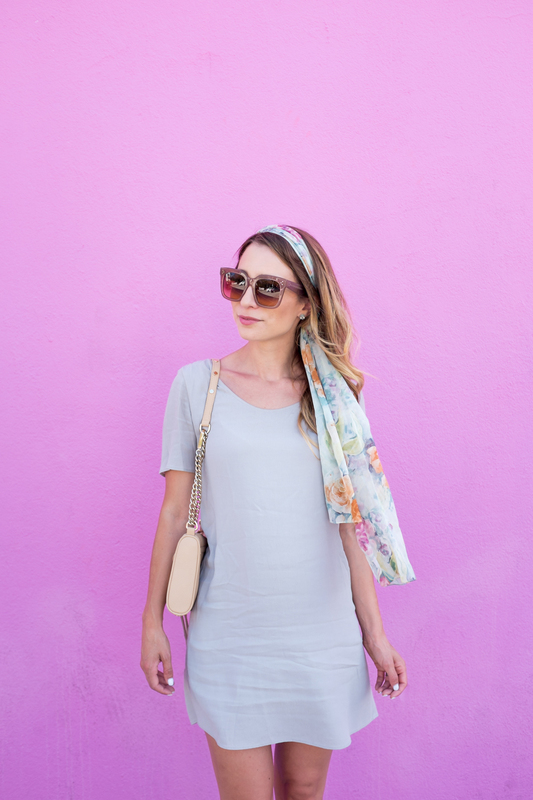 OOTD - Giant Pink Wall | La Petite Noob | A Toronto-Based Fashion and Lifestyle Blog. I had mentioned before that wedge heels are typically not my style of choice, but after teetering about LA in these bad boys my mind has changed. There's something so empowering about gaining an extra 6 inches of height without having to sacrifice on comfort. It may be my short girl problems coming through, but I'm hooked. With the seventies style playing huge for Fall, I suspect that there will be many a platform in my horizon. What are your thoughts on the shift dress? Perfect for travel, or do you have another piece of clothing that is your go-to? Would you also run across 4 lanes of traffic in LA for the sake of a giant pink wall? No? Let me know! Lol, love this post! 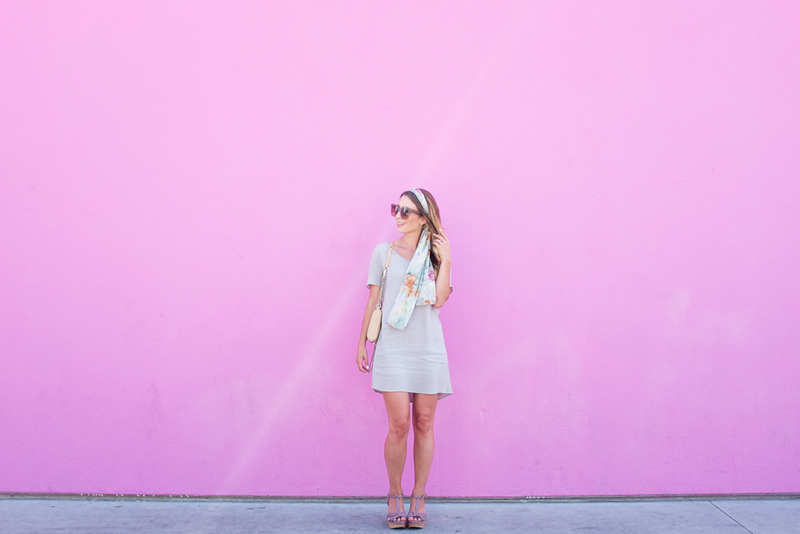 Yes to the shift dress, yes to the pink wall and yes to the wedges! Can't wait to hear more about Cali. These pics are stunning! Thanks Gabriella! Next blogger brunch soon? Giant pink wall!!! OMG! It's huge! YES! Giant pink wall, in all of it's huge pink majesty! Thanks Kris, I'm definitely doing cartwheels now that the 70s are back! This is soo cute! It's so feminine! Also, lovee that pink wall!